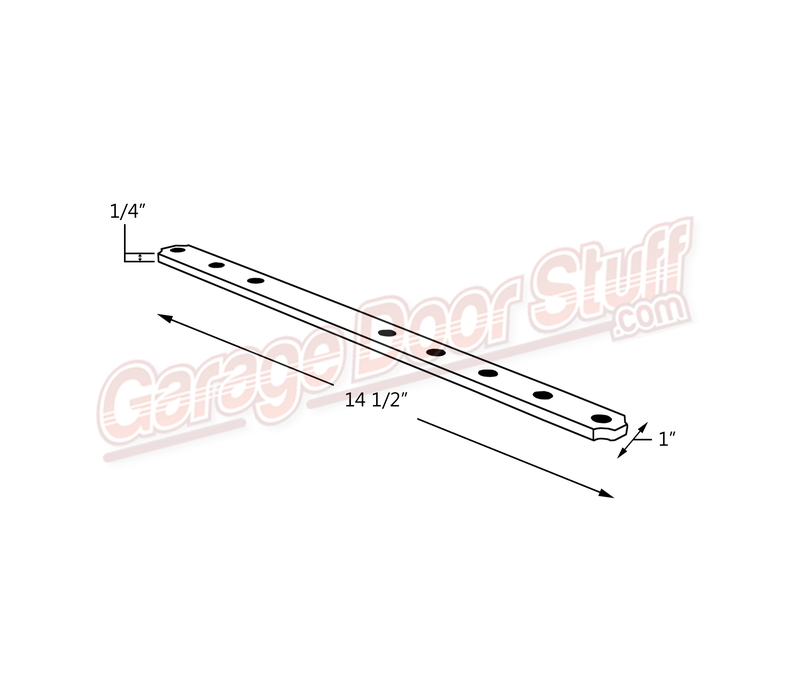 This is a straight arm that is typically joined to a J shaped arm and the J end is connected to the garage door. The straight arm is more times than not the part that will get damaged / bent. 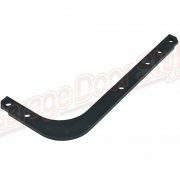 Once the arm is bent it needs to be replaced, straightening the damaged arm will result in a weak link from the garage door to the garage door opener. 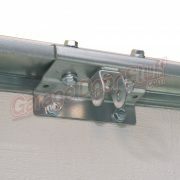 That can result in an unsafe situation and can also damage the door. 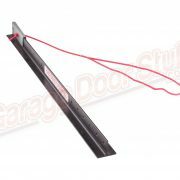 Replacing the damaged garage door opener connector arm is an inexpensive proposition and is an easy repair. 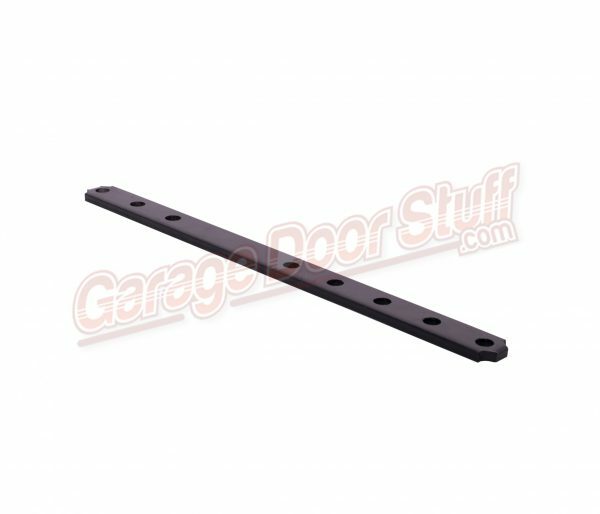 We carry several garage door connector arm options, we have brand and model specific garage door connecting arms and universal connecting arms. 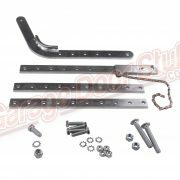 Most garage door connector arms can be considered universal and are easy to modify however, some brands and models of garage door openers require a specific garage door connecting arm. 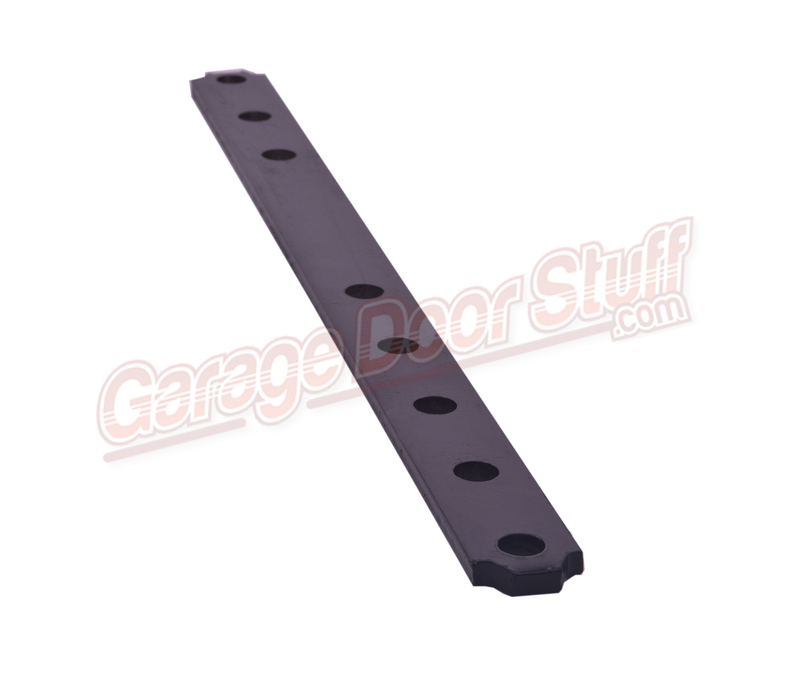 We carry many options, if you are unable to determine the correct arm for your needs, send us some photos of the existing garage door connector arm and we can help you. We have brackets for mounting the garage door arm to the garage door and hanging kits to hang the garage door opener to the ceiling or structure. 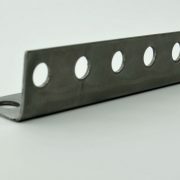 We also carry a full line of parts and weather seals.